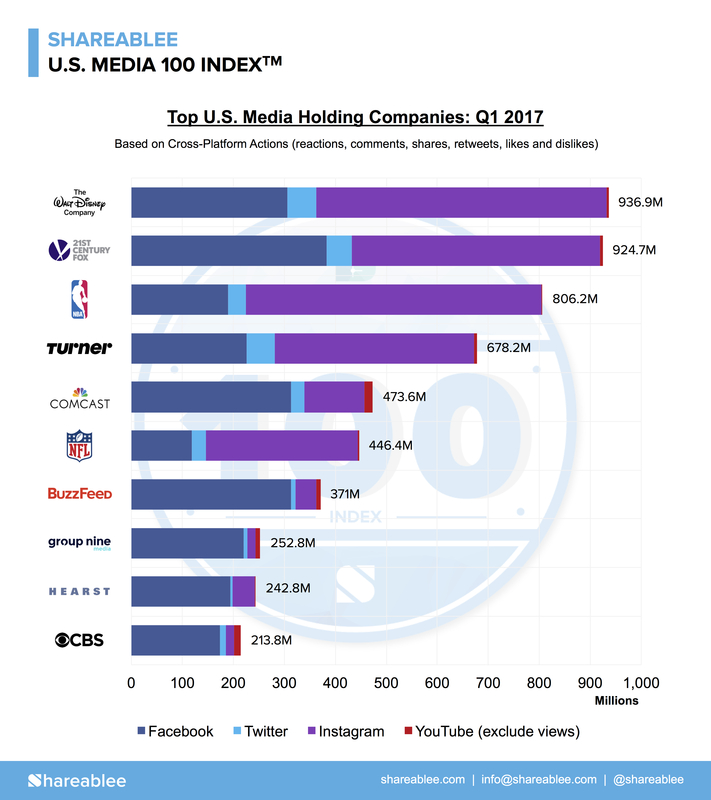 New York, New York, April 24, 2017	(Newswire.com) - Today, Shareablee announces the industry-first U.S. Media 100 IndexTM, a ranking of the Top U.S. media companies based on video impact and audience engagement. The index’s foundation is Shareablee PowerRankings™, the all-new social media cross-platform rankings product available within the Shareablee platform. "We at Microsoft are so excited to continue powering Shareablee as they push big data innovation boundaries; it's why we love finding disruptive startups in our Accelerator program so much." Shareablee’s investment in measuring the unified consumer intersects all aspects of media measurement. As a member of the Microsoft Big Data Alumni class, Shareablee has continued to make advancements in its usage of next-level technologies and machine learning to better shed light on human values and preferences. By using Microsoft’s Azure, Shareablee can now run complex database graphing on-demand, making true audience de-duplication possible in real-time. "We at Microsoft are so excited to continue powering Shareablee as they push big data innovation boundaries; it's why we love finding disruptive startups in our Accelerator program so much," said Hanan Lavy, Managing Director, Microsoft Accelerators at Microsoft Corp.
For a deeper introduction to Shareablee PowerRankings™ and the future of media monetization, join us on May 8 for a webinar with CEO Tania Yuki. To register, visit http://register.shareablee.com/the_future_of_media_monetization. Shareablee is the leader in audience-based social media measurement for media publishers, agencies, and brands that want to understand their total video and content impact and audience engagement. Shareablee is a Facebook Media Solutions partner, was selected to be a part of the Microsoft Big Data Accelerator program in 2016, and received the Unilever Foundry Award and L’oreal Innovation Awards in 2016 and 2015 respectively. 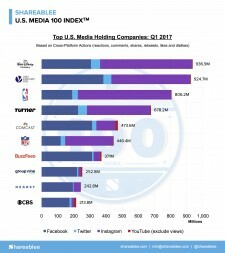 Shareablee’s roster of platform clients spans 15 countries and includes the National Basketball Association, WWE, Warner Bros Television, AOL, Viacom, Comcast, NBCU, Fox, and Turner, and leading global advertising agencies Publicis, WPP, and OMD. Shareablee’s content, measurement, monetization and audience products are built on C.A.S.T.™, the industry’s only comprehensive social media data index and dictionary. Shareablee captures the real-time social media actions of more than 2 billion consumers and parses them across 700+ metrics into the C.A.S.T.TM global dictionary of all brands, publishers, shows, influencers, and celebrities going back to January 2013.